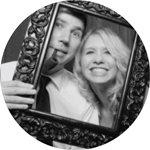 Since returning from our holiday we have had a very busy weekend catching up with friends and family. Luckily we managed to find a bit of time yesterday to get back into some humble home cooking and Brooke made this delicious pumpkin and leek tart recipe. Whilst being away we have definitely eaten our fair share of delicious Vietnamese food, but now that we are home in the middle of Perth’s winter I am craving some simple winter food. With pumpkin and leek in season, Brooke made one of my favourite recipes, Pumpkin and Leek Tart. This tart is delicious and if Brooke can be bothered tackling homemade short crust pastry is a great winter warmer. 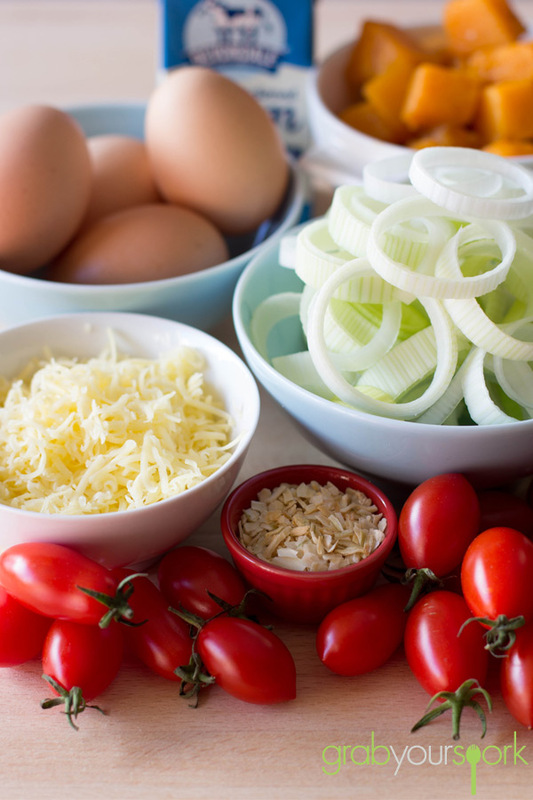 Cook the pumpkin slightly in the pan first with a little butter and garlic for added flavour, then combine with the sliced leeks, some fresh tomatoes for colour, dried onion flakes, cheese and an egg and cream filling. Bake it in the oven for 10 – 15 minutes or until golden brown. 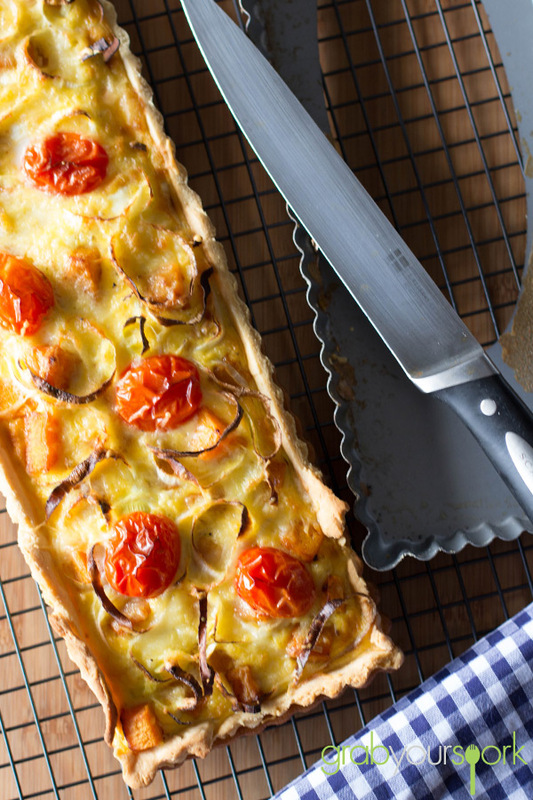 Served with a simple salad this tart is great for a light lunch or dinner or in the warmer months for a picnic! Looking for some more savoury baked goods then check out our recipe for Ham and Cheese Croquettes or Zucchini and Bacon Slice. 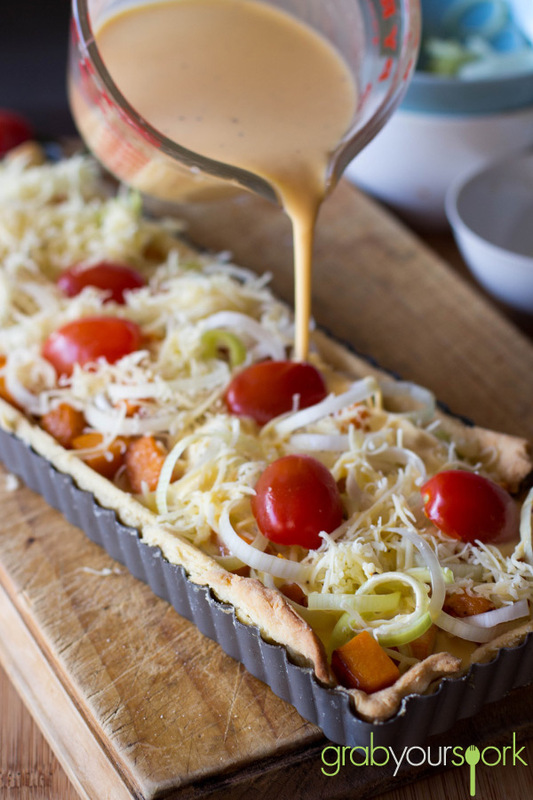 Pumpkin and Leek Tart great for a light lunch or dinner. 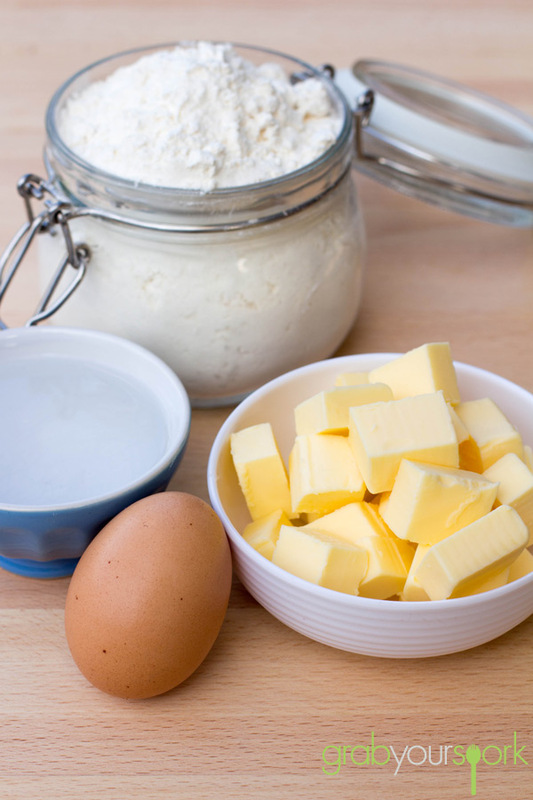 To make the pastry, place the flour and butter in the bowl of a food processor and process until mixture resembles fine breadcrumbs. Add the egg and water and process until the mixture just comes together. Turn dough onto a lightly floured surface and knead until smooth. Shape into a disc. Wrap in plastic wrap and place in fridge for 15 minutes to rest. Meanwhile, melt the butter in a frying pan over medium heat. Add the pumpkin and garlic and cook, stirring, for 10 minutes or until soft. Remove from heat. Roll out the pastry into a 3mm thick rectangle or disc. Line a round 23cm (base measurement) fluted tart tin or a 33cm x 9cm rectangular tart with removable base with pastry and trim any excess. Place in the fridge for 15 minutes to rest. Cover pastry with non-stick baking paper and fill with rice or dried beans. Place on a baking tray. Bake in oven for 10 minutes. Remove paper and rice or beans, and bake for a further 8 minutes or until golden. Remove from oven. Reduce oven temperature to 180°C. 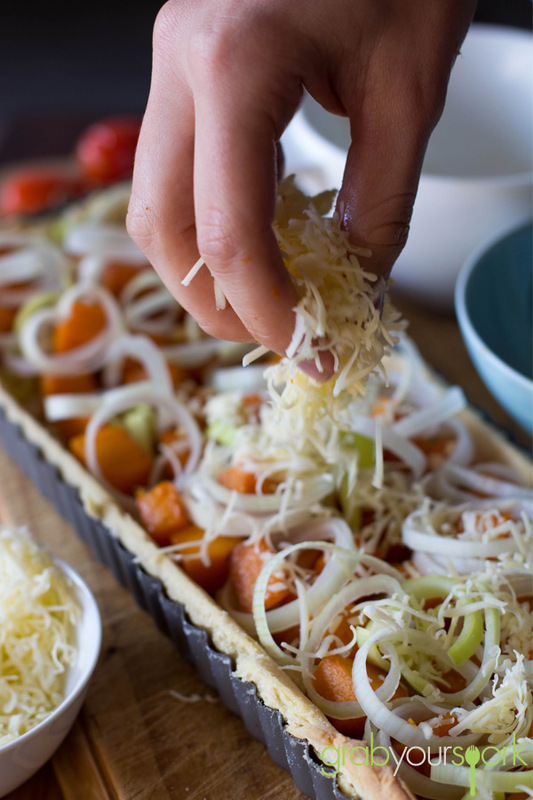 Fill pastry base with pumpkin, onion flakes, leeks, cheese and tomatoes. Whisk cream and eggs together in a jug. Spread over pastry base. Bake in oven for 10 to 15 minutes until golden brown.